This is a twist on a salad with some familiar southwestern flavours. 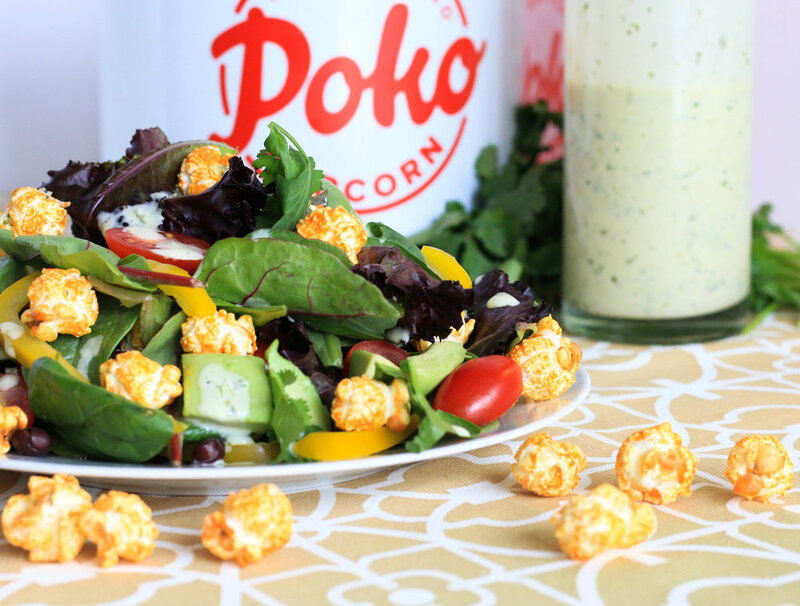 I used Poko Popcorn Jalapeno Cheddar popcorn to give it a nice crunch and some spice instead of the usual crunchy tortilla strips. Add some ground beef or chicken and top with fresh salsa for a filling meal. Combine all ingredients for the dressing with an immersion blender or food processor. Toss together all ingredients for the salad and serve with a generous amount of dressing. Enjoy!